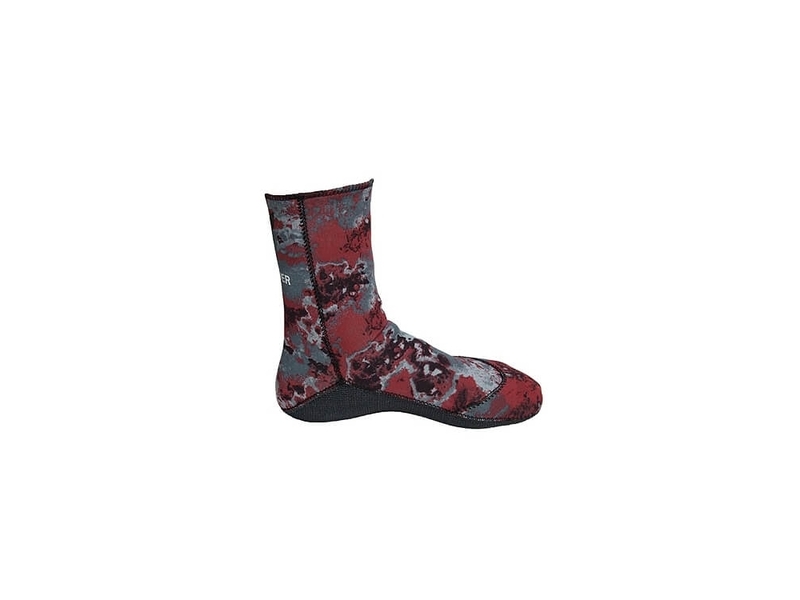 For the new Speardiver spearfishing and freediving socks we wanted the warmth and comfort provided by open cell material, without sacrificing durability. One of the socks' most important and innovative features is a Lycra lined interior toe area, to protect the front of the sock from cuts caused by toe nails. The sole of the sock is made of Supertex, the same flexible durable material used for Speardiver wetsuits knee and elbow protection. 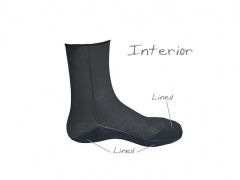 The sole interior is lined with Lycra to prevent sipping inside the sock when walking. All other parts of the interior are open cell, resulting in a sock that effectively stops water circulation providing great warmth for the feet. The same comfortable and stretchy neoprene material and camouflage patterns used in Speardiver wetsuits are used for the socks.